I have been teaching and tutoring math and the sciences since 2001, and I am extremely comfortable with the material and how to tutor it to the individual student. I've completed my 10,000 hours of tutoring and 10,000 hours of teaching. I specialize in math from basic algebra through advanced calculus, as well as physics with and without calculus. I cover chemistry as well, but since my schedule usually fills with math tutoring, I usually do not tutor chemistry unless a parent or student requests an hour of math and a separate hour of chemistry. Within my travel radius, my fee on WyzAnt is what you see. I do not go up nor down with that fee because at that level, I can fill my entire schedule, and I don't believe in wasting either of our time with that nonsense of making my fee higher to negotiate down later. We can get to work much more quickly by skipping that step! Students I work with tend to come back to me because I am able to bring about improvement very quickly, up to the level the student is able to meet. Most of my students end my sessions surprised at the level of improvement they are able to reach. I have a 5.0 star rating with WyzAnt because I am very effective. I think we can do good things this semester! We should speak over the phone to discuss details! I look forward to hearing from you! I specialize in math, including algebra, geometry, algebra 2, precalc (precalculus), calc AB, calc BC, college calculus, and higher level math. I also tutor physics and have had extremely good results. Rate details: Cancellation policy: 24 hour notice required. No cancelling the week before and the week of Regents, AP tests, and college finals. Juan has been tutoring at various levels of education and has shown a consistent record of improvement of between 10% and 20% on standardized tests. When he took the GRE test, he scored an 800 on the math portion, and his studies show that he has mastered all areas of math required for the GRE. I am certified as a highly qualified professional teacher of common core math. I have also tutored common core math and physics since the inception of the new standards. I am very comfortable with the common core content and teach it to the individual student. Juan has been a teacher of various levels of math and physics for more than ten years. He has a Bachelor's and Master's in math and a Master's in math education. Juan's results include over 20% improvement in scores for most students and produces lasting improvement in algebra skills very quickly. Juan has experience teaching and tutoring Algebra 2 at both basic and high levels. Juan has tutored both regular education and special education students in Algebra 2 with 20% or better improvement in test scores. 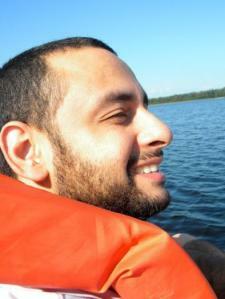 Juan has a master's degree in mathematics with over 100 undergraduate and graduate math course credits. Juan has tutored calculus at the college and high school level with 20% or better improvement in scores. He has complete mastery of the material and excels at producing improvement quickly and permanently. Juan teaches and tutors both lower level and advanced geometry students. He has experience with multiple ability levels and has worked with both gifted students and students with learning and math difficulties, and has helped students achieve improvement of over 20% on test scores. Parents are generally surprised at how quickly their students can improve over previous test scores. Juan has taught physics at the college level with great success. He has also tutored high school physics numerous times over the course of the last ten years, with very good results. All of his students have found improvements in scores, most by up to 10%, with most scoring 20% better than previous tests. Juan has tutored prealgebra and algebra to students at various achievement levels since 2001, and has been a math teacher since 2009. His youngest students are fifth graders, and his older students are college students. He has a great deal of experience working with many levels of math, and has mastered teaching and tutoring for prealgebra. Juan has tutored precalculus and calculus since the year 2000. He has complete mastery in the material and has taught the class as a recitation instructor. Juan has found consistent results in tutoring for SAT math, with all of his students improving their scores over 10%, and most improving by over 20% over a previous test. He has working and complete knowledge in all areas of high school math, and has been a teacher and tutor since 2001. Juan tutors for the ACT test, with special focus on the math and science section but with great strategies and skills for the verbal and writing sections. Juan has found a great deal of success in tutoring for the ACT. Every student he has tutored after taking the ACT once has found a 10% or better improvement in their scores, with all past students improving by over 15%, and most improving by over 20%. Juan has a great deal of experience working with trigonometric functions at the higher levels of math and science, and has been tutoring trigonometry and related subjects since 2001 with great success. All students have improved by 10% or better over previous test scores, and most have improved by over 20%. Juan has tutored for the ACT science section for over fifteen years, and excels at improving student scores in a very short time. All of his students have improved by at least 15% relative to either previous official tests or practice tests, and most have improved by over 20%. Juan has worked with students at all levels of readiness and skill levels and is comfortable with improving the skills of students in a way that is tailored to them. I have tutored all the versions of physical science, including middle school and high school, since 2001. I am a certified teacher and I currently teach physical science. I tutor for every math Regents and AP math test, as well as Regents and AP physics. All of my students have achieved improvement by over 10%, which is double the national average of 5% improvement after tutoring. FYI, "REGENTS" tutoring is too generic, as there are many, many regents in a wide variety of subjects. I only tutor math and physics. We were very pleased with our experience with Juan. I would recommend him to anyone looking to have these concepts more clearly explained. My son now has a much more solid understanding of geometry thanks to Juan. Juan is one of the best tutors we have come across. He really took the time to evaluate my son, and then worked with him to find the actual issues he was having. Most other tutors just helped work the problems, whereas Juan really wanted to find out why the child was doing things certain ways! Really amazes at his persistence and patience. Highly recommend him, worth his price!! My son needed help in calc 3. He is himself a tutor and a smart kid. Juan was the only one, of many tutors that I tried, who could successfully teach the difficult material with patience and ease. He is prompt and punctual. He is expensive but worth it. Great tutor for calculus 2. Helped with understanding series and sequences and coming up with their general forms. Solidified my understanding of these concepts, very patient and great at explaining concepts. Juan's lessons were very thorough with Shane. Juan is able to very quickly come up with unique problems to challenge Shane at just the right level. Juan is the best tutor I have ever had for my son. Juan is an excellent tutor. He was able to discern where my son had difficulties. I am very pleased with him, and I believe as we go forward, my son will greatly improve in math. Juan is laser focused and was able to identify the holes in teaching methods and immediately began to fix them. Calculus 2 on a college level is difficult. Add it to that mix, that it was a summer session, and a expedited curriculum, and you have a recipe for disaster. Juan was able to get me back on track in no time at all. After just one lesson with Juan R my grade improved! Juan is patient and explains the concepts well. I'm looking forward to learning more with him.